The earth’s mantle is literally “drinking” more water out of the ocean than was previously believed. Observers of seismic activity have recently revealed that the tectonic plates under the sea are dragging large amounts of seawater deep into the cracks of the earth, affecting the global water cycle. The phenomena occurring in the deepest spot on earth is especially significant. 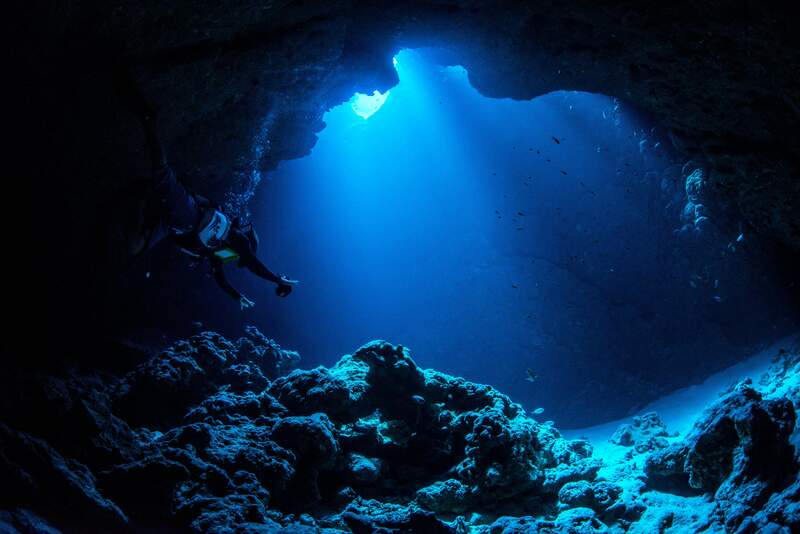 The Mariana Trench is located in the Pacific Ocean, to the east of the Philippines and, from a naturalist’s point of view is considered one of the creepiest places you can imagine. If you’re looking for some of the weirdest creatures on the planet, look no further than an oceanic hole that’s five times longer than the Grand Canyon and a couple of kilometres deeper than Mount Everest if it was submerged in water. Some of these scary-looking sea monsters are breathtaking. In the murky depths of the trench you can find goblin sharks, considered as living fossils that remain evolutionarily unchanged, giant toxic amoebas full of superhuman powers, such as surviving heavy metal poisoning, along with giant octopuses and other animals that glow in the dark to be able to survive. The floor of the trench is almost 11 kilometres deep. Down there, two tectonic plates are continuously sliding under one another, and vast amounts of seawater are escaping through the Earth’s crust every day. At that depth, the pressure is a thousand times higher than at surface level, and the temperatures can be near to freezing. The chemical reactions that occur inside the geological plate turn the water into hydrous minerals (a non-liquid form), the water gets blocked beneath and later sinks deeper into the mantle. These hydrated capsules of rock extend almost 30 kilometres beneath the seafloor, and the amount of water that can be trapped there is incredible, creating subduction areas with water piling up in the crust. Several seismic studies have confirmed that the water can “travel” through the floor of the ocean for about 96 kilometres before starting to emerge again. During that period, the rocks below the mantle can hold the water in various ways. The scientists suggest that in the Mariana Trench, four times more water is captured and dragged down than in any other place in the world. Globally this could mean that there’s about three times more water down there than we thought. It’s believed that most of that water is ejected back to the surface as water vapour via volcanic eruptions that could be happening hundreds of miles away. But the amount of water going into the earth is exceeding the amount of water coming out, which could change the whole balance of the global water cycle. However, water represents one of the most critical elements on earth and controls nearly every aspect of how our planet works, so understanding the relation between the mantle and water is understanding Earth itself. Now that there’s a clearer picture, the observatories will need to focus their work to fully understand whether the results down in the Mariana Trench indicate a regular part of the water cycle, or if they point in the direction of more significant environmental issues.